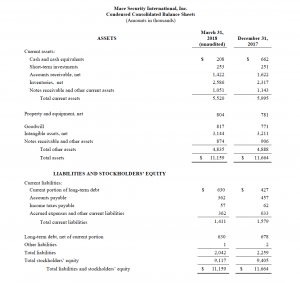 CLEVELAND – May 14, 2018 – Mace Security International, Inc. (OTCQX: MACE) today released unaudited financial results for the quarter ended March 31, 2018. 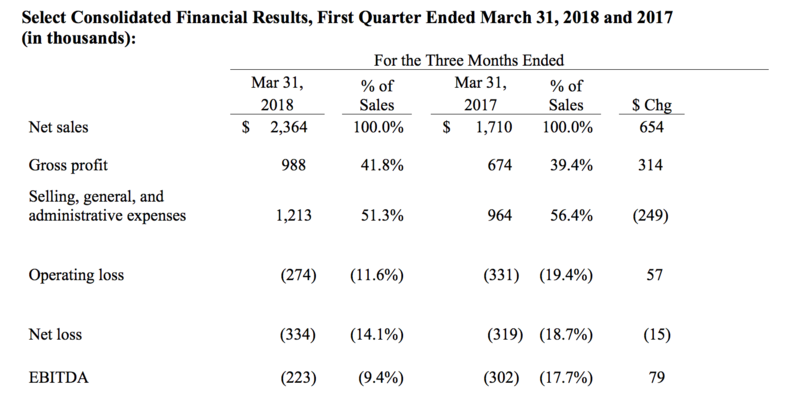 The Company is pleased to announce a positive first quarter with net sales of $2,364k, a 38.2% increase over prior year first quarter. The Company continues to grow its top line sales through organic growth and strategic acquisitions reflecting growth in all major distribution channels. 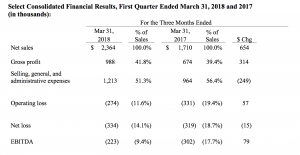 Additionally in the quarter, the Company continued to invest in people, advertising, and social media campaigns to drive sales and distribution. The Company will continue to invest in the brand to maintain its market share and brand leadership. “Our growth in the first quarter reflects the value and strength of the Mace Brand as we continue to expand the brand across product lines and distribution channels”, stated Creative Director Jessica Adanich. 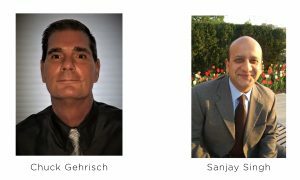 Lastly, our new board of directors is assisting the Company in refining its long term strategies to insure the company and management team optimizes its resources and prioritizes opportunities. 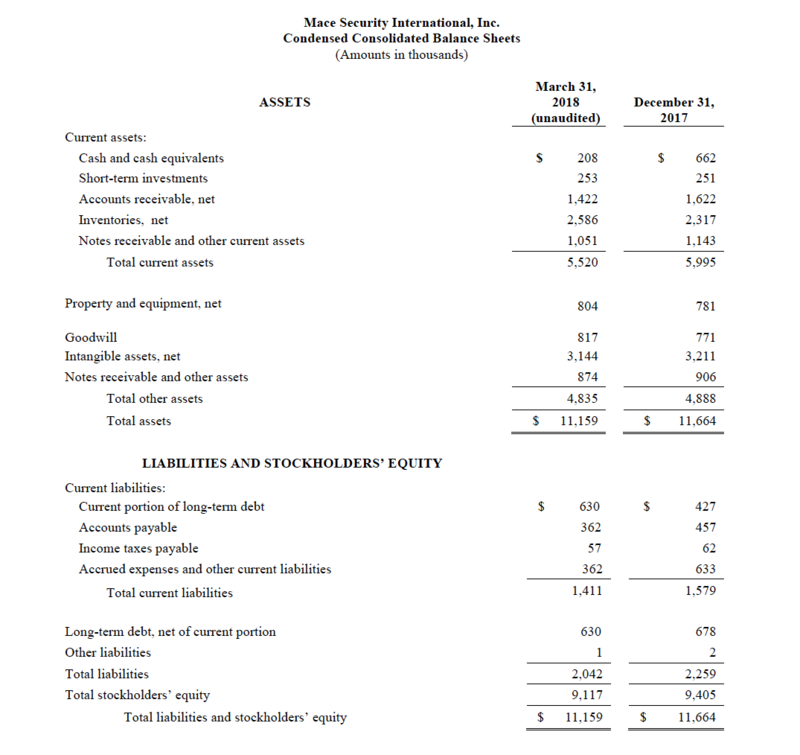 The Company maintained its leadership position with consumers as it continued to add new less lethal products including personal alarms, pepper spray models, and product combo kits. 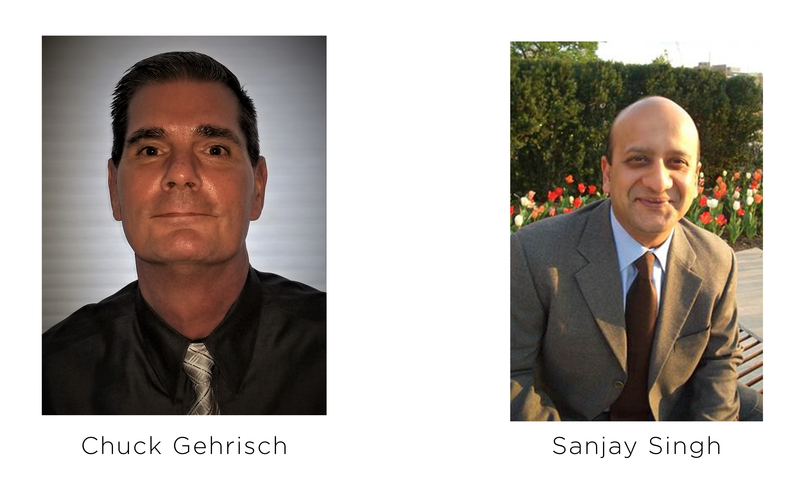 The Company, through organic growth, expanded its retail presences by adding 26 new accounts, and continued its e-commerce and international expansion efforts. “Mace, through investments and focus, is expanding its e-commerce presence and continues its efforts to strengthen brand and consumer awareness through social media campaigns” stated John McCann, President and CEO. 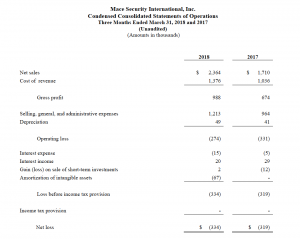 The Company would like to direct investors to www.Mace.com for a full set of the consolidated financial statements, OTCQX Quarterly report, and first quarter 2018 investor presentation. 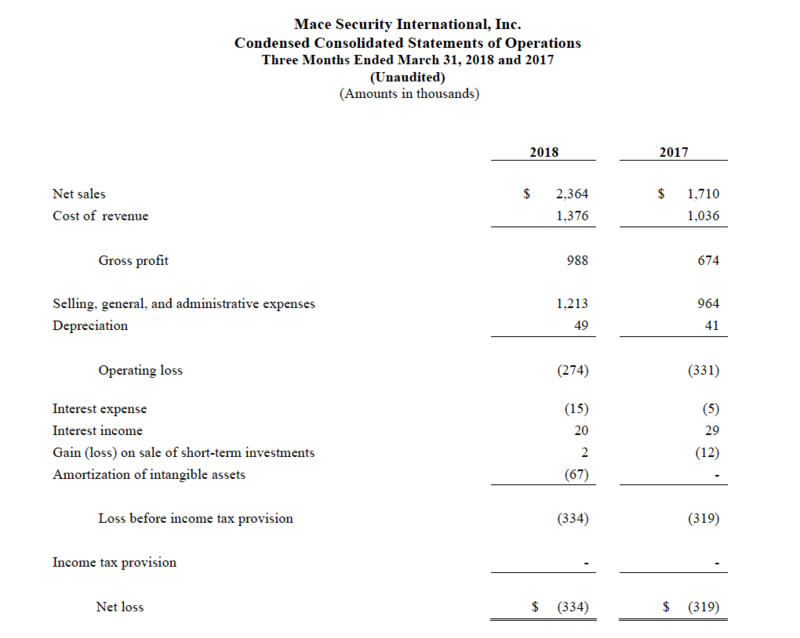 Although the Company is not planning to conduct its usual quarterly conference call after release of the first quarter’s earnings, the Company will communicate its strategy and future plans with investors through conference calls, social media, and investor conferences starting with the LD Micro Invitational on June 4th, 2018. The Company will communicate future investor calls via press releases and social media. Mace Security International Inc. is a globally recognized leader in personal safety and security. Based in Cleveland, Ohio, the Company designs and manufactures consumer and tactical products for personal defense, security and surveillance under its world-renowned Mace® Brand – the original trusted brand of pepper spray products and Vigilant® Brand alarms, the world-wide leader and number one recognized brand in personal alarms. 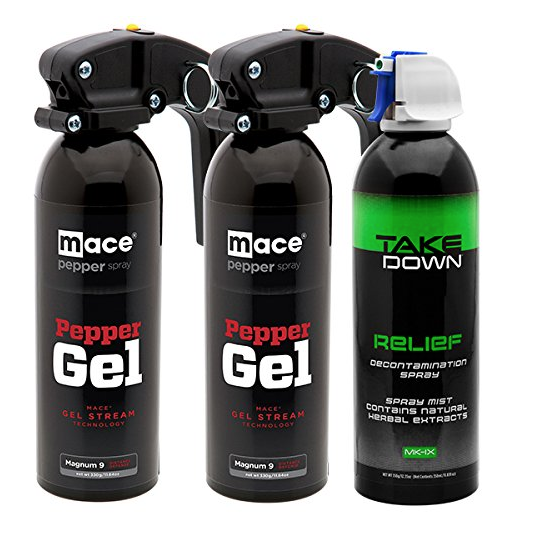 The Company also offers aerosol defense sprays and tactical products for law enforcement and security professionals worldwide through its Mace® and Take Down® brands..